This is an MP3 album only; not a CD. 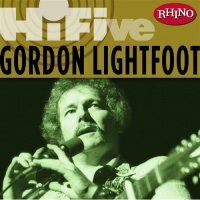 It's a great place to start if you are new to Lightfoot: his four biggest hits, plus the love song Beautiful. You can buy any of the songs individually by clicking on the notes above, and if you buy the MP3 album, you save money over buying the 5 songs. You can also listen to the clips. (Purchase and clips @ Amazon).